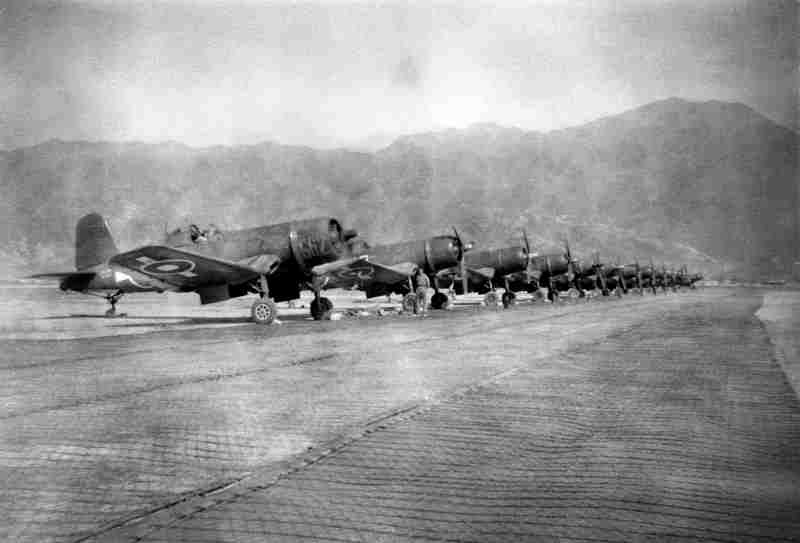 Reserve Corsair's at Kai-Tak Airfield. 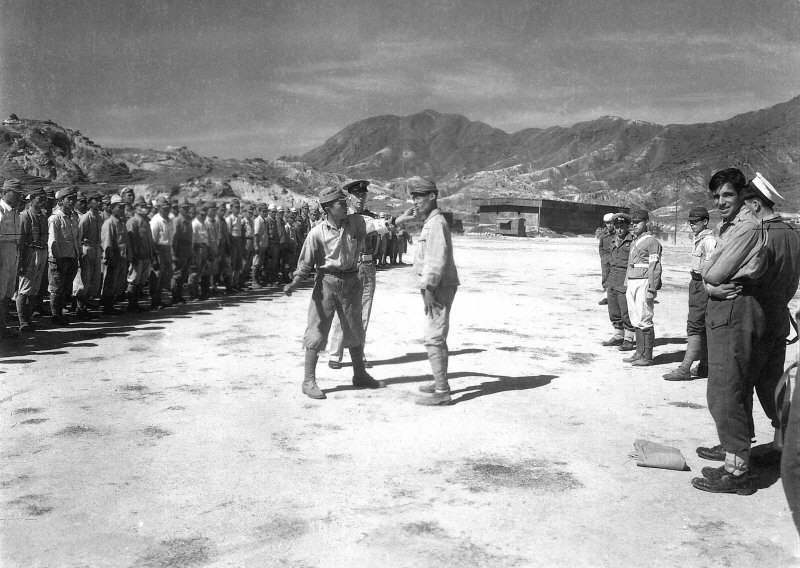 Japanese P.O.W. 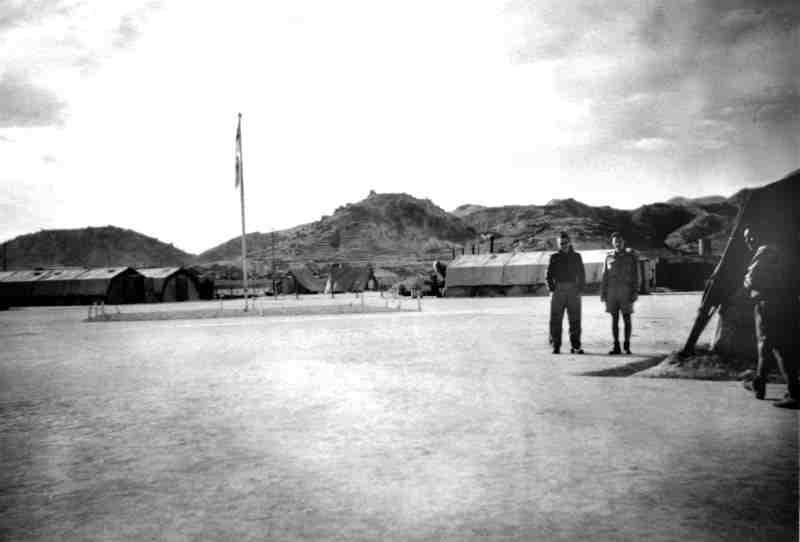 's on Parade Ground at Kai-Tak Airfield. 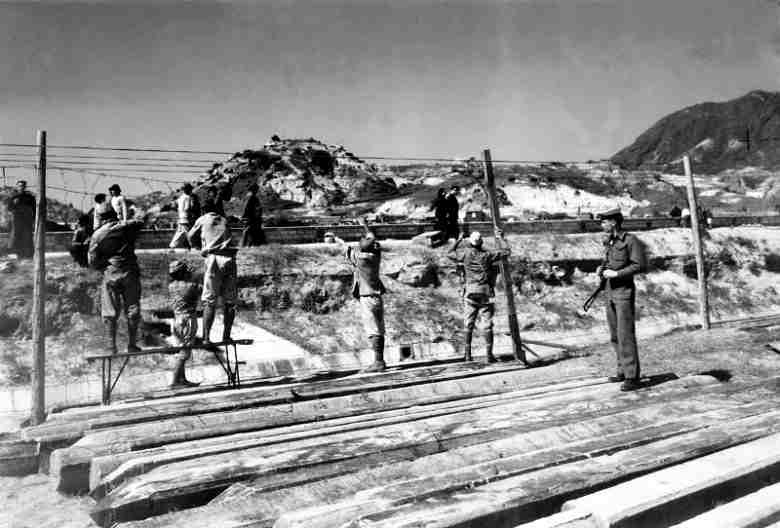 Japanese POW work party, repairing fence at Kai-tak Airfield. 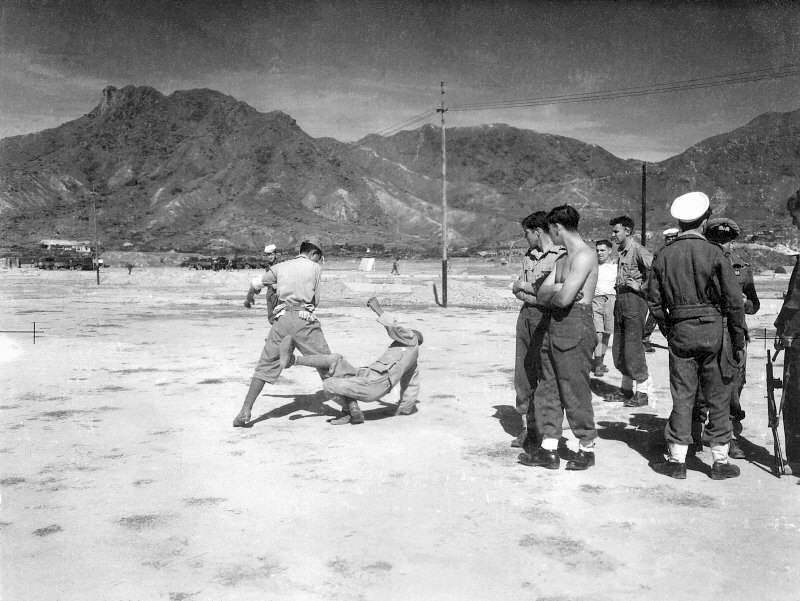 Japanese P.O.W. 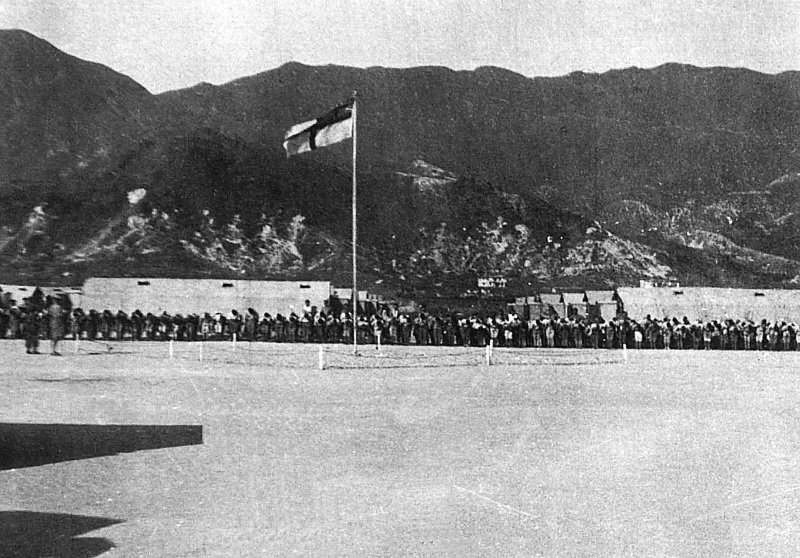 's muster on Parade Ground, internal trial, Kai-Tak Airfield. Japanese 'summary justice' for stealing fruit, Kai-Tak Airfield.